Happy Monday & DAY 12 OF THE 2017 DAYS OF GIVEAWAYS! Woo! 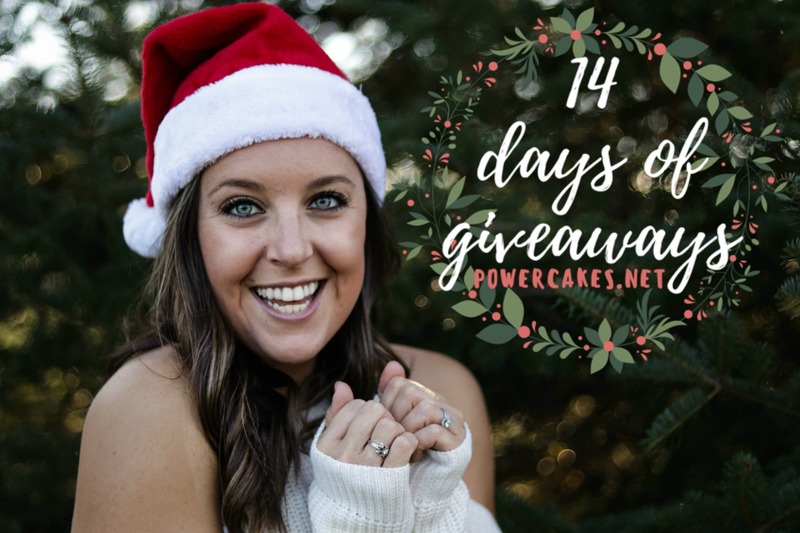 Day 12 of the 14 Days Of Giveaways 2017 is with my friends at AQUA Carpatica! 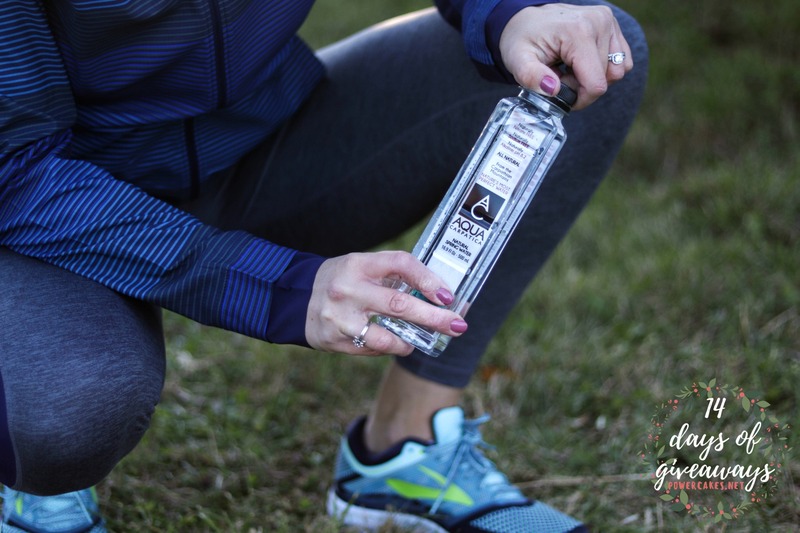 AQUA Carpatica is naturally sodium-free, naturally enriched with electrolytes and bicarbonates, stimulates metabolism, and contains a unique concentration of calcium and magnesium that’s beneficial for people who lead active lifestyles. AQUA is also completely Nitrate Free – which is crazy because I didn’t even know nitrates could be in water? I’m always learning. AQUA is safe for babies, safe for mothers, and great for everyone else too, especially during a workout. Available in sparkling and still, AQUA Carpatica comes from protected springs deep within the Carpathian Mountains of Romania, the last wild forest in Europe that’s far removed from any agricultural or industrial activity. Millions of years of volcanic activity filter out impurities resulting in a smooth, clean taste. And seriously guys…this water is SMOOTH! I’m not a huge fan of plain sparkling water with no flavor added, but this water has a great taste in both sparkling or regular. 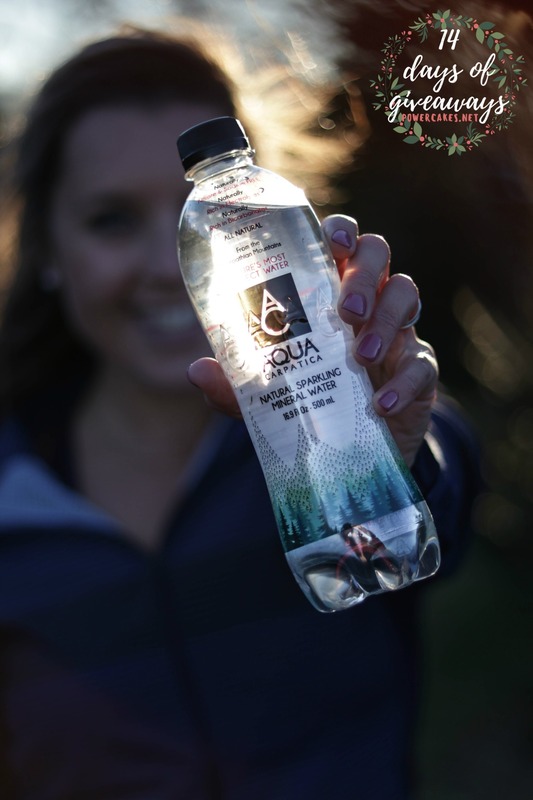 AQUA is giving away FOUR cases of water (two cases of natural spring water & two cases of natural sparkling mineral water) to one lucky winner! Thank you AQUA & Happy Holidays! 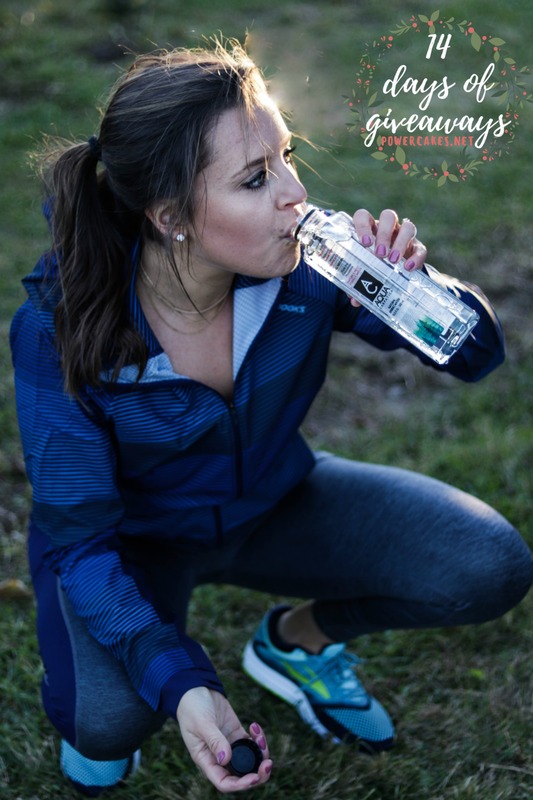 Always having a handy bottle of water close by is an essential way for me to keep hydrated throughout the day and especially when I exercise! This water sounds so refreshing! I love water like this! I am super prone to dehydration lately because of being pregnant and this water has helped, along with many other symptoms like headaches! Love it. Need it. I have never tried this brand and it’s a great way to stay hydrated. I could really use a reason to drink more water. 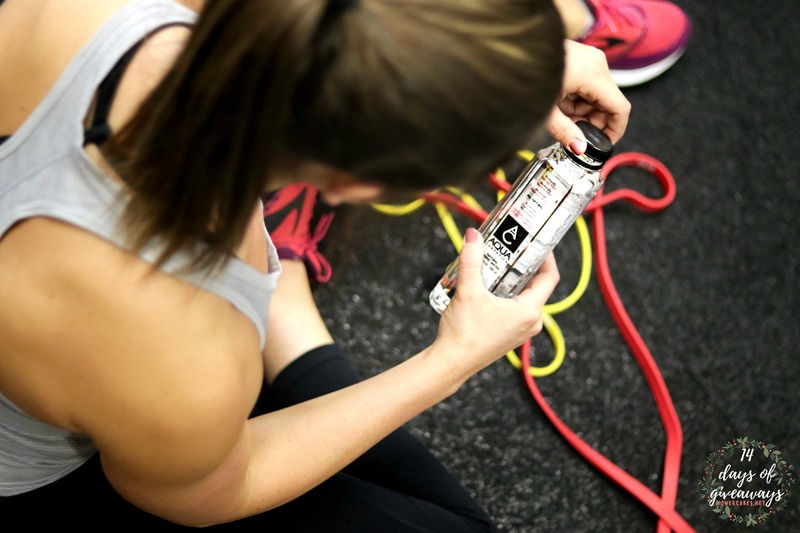 LOVE that it stimulates metabolism and gives you the electrolytes you need. Yes please! anything that will crank up the metabolism! please! Love that it contains electrolytes! These would be so handy to take to the gym to hydrate after my runs! I’m excited to try AQUA Carpatica because if the water tastes as good as the packaging looks, I’m sure it will be delicious! I love trying different ways of getting more water into my day. These would be fabulous to keep with during the day to remind me to drink more water. I’m excited because it sounds like the best. I love sparkling mineral water but more importantly so does my Husband and it’s my trick to get him to drink more water, he just doesn’t think about it. I’m excited to try because I love water. Huge sparkling drinker, always looking for the next tasty. A true hydration would be awesome!